Fair Winds Press, 9781592336159, 208pp. Hockey, football, baseball, golf, swimming, lacrosse - whatever your sport of choice, yoga will help you to improve focus, flexibility, and performance. 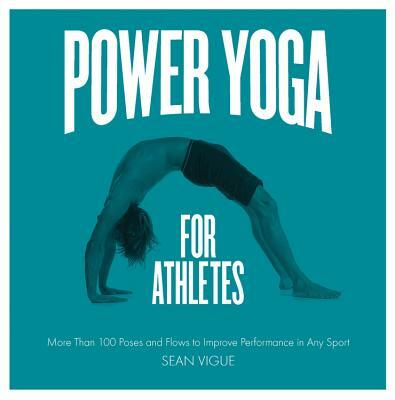 Power Yoga for Athletes is perfect for those who want a total body and mind workout. Yoga is the ideal cross-training tool and a perfect stand-alone exercise, whether you're looking to improve balance, focus, control, breathing, posture, or flexibility; strengthen your back, joints, or core; or reduce or heal from injury. "Talk about a perfect pitch! Sean Vigue has the moves, mojo, and motivation you need to reach that next level of fitness. His energy is contagious and his pipes are sublime. Go Sean, go!" - Brooke Siler, bestselling author and Pilates "trainer to the stars"
Sean Vigue is Colorado's premier Yoga and Pilates instructor, creator of Pilates Style's "Best Male Workout of 2011" Pilates for Men DVD/Download. He launched his own complete online training program, "Sean's Vault," and has taught more than 5,000 group fitness classes. He has been featured in The Washington Post, Curious.com, Fox News, Pilates Style magazine, The Denver Post, Fit Bottomed Girls, The Broadway Blog, YoFitTV.com, and MyGeniusTrainer.com.